Want to dip your toes into the historical fiction pool? Maybe even take part in the YA Historical Fiction Challenge? That's great! But what if you're not really an historical fiction kind of reader? Maybe fantasy is more your thing. If that's the case, then do I have a list for you! The following are all books that can be loosely considered historical fiction ("historical fiction lite," if you will) and include paranormal and fantasy elements. Doyle seamlessly combines magic, Regency drama, romance, and kidnapping in this upbeat story about two magical sisters making their debut into society while also trying to discretely search for their missing governess. The characters were a delight and the story was fun. The sisters were repeatedly distracted from the plight of their kidnapped governess by courtly balls and dress shopping. While odd for characters who should be wracked with worry, these scenes were equally distracting to me and so I didn’t mind them at all. The whole book has an upbeat and girly feel I just loved. There is a sequel, but this book wraps up as if it were a standalone. If J.K. Rowling and Jane Austen teamed up to write a book, this would be the result. Instead, two powerhouse fantasy authors combined forces to write this epistolary novel, each taking the voice of one of the two main characters as they write to one another about their exciting season. Written in a completely charming voice, Sorcery and Cecelia can only be described as a hilariously fun romp through a magic-filled Regency England. Witches and wizards, intrigue and scheming, and of course a healthy dose of adorable romance make this one of my favorite books ever. Part one of a trilogy, Sorcery and Cecelia is easily read as a standalone. 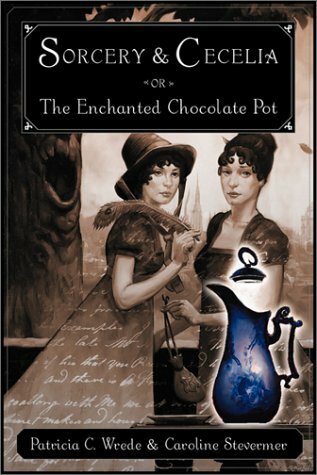 Part fantasy, part fairy story, part Victorian steampunk, and part Gothic, this book takes elements of a bunch of different styles and effectively combines them to create an intriguing story. Nimira is a likable main character, but my favorite by far was the enigmatic Hollin with his tragic past. While I wasn’t in love with the execution, Dolamore has set a satisfactory foundation and shows promise for future installments of this series. The main events are wrapped up, but there are enough loose ends that will leave readers anxious for the sequel. Fans of Sorcery and Cecelia and Bewitching Season are sure to enjoy this adorable Regency-era book. Kat, the 12-year-old heroine is beyond cute. The relationship she shares with her two older sisters is heartwarming and fun to read. Pulled into magic, secret orders, balls, arranged marriages, romantic matchmaking, gambling debts, and rumors of a thieving highwayman on the loose, Kat’s adventures are at turns perilous, exciting, and heartwarming. The characters are endearing, the plot delightful, and the writing charming. I can’t wait for Stephanie Burgis to write another book! In the summer of 1899, country girl Amelia is sent to stay with relatives in Baltimore for the social season in order to find a suitable husband. Amelia’s fun is interrupted by startling visions that appear to her in the light of the setting sun. As the town clamors for Amelia to read their futures, Amelia finds her heart pulled toward the decidedly unsuitable Nathaniel, an artist below her station. Balancing the fine line between propriety and passion, tension grows as Amelia’s visions show her increasingly disturbing events. While I didn’t find it perfect, this was an enjoyable story with an ending that was as shocking as it was satisfying. You can read all of my thoughts on The Vespertine in my review. Do you know any historical fiction books with magic? Please feel free to share in the comments. I'm always on the lookout for suggestions! By the way, what did you think of the sequels to Sorcery & Cecelia? wild, historical fiction with Magic. first ear to this, i shall check its reading out. Magic under Glass cover is appealing so i might start there. Ah! Very cool post and this sounds like a genre I can get into! Will add these to my TBR!! I haven't read any historical fiction with magic. I like the sound of The Vespertine. I've been meaning to read that one! Sorcery and Celia as well as Bewitching Season is on my list to read! I've read Jonathan Strange and Mr. Norrell and LOVED it! 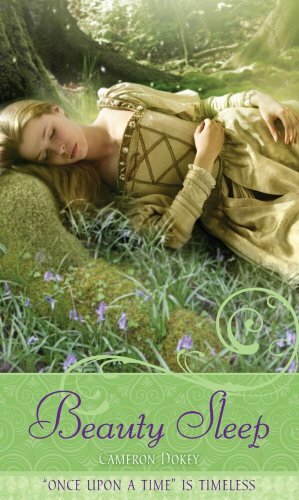 I think Libba Bray's Gemma Doyle trilogy also falls under Historical Fiction with Magic, and even that was an enjoyable read. Danya, Me too! I agree, Sorcery and Cecelia is shamefully overlooked (and I, equally shamefully, have no yet read the sequels). I didn’t love the ending for Magic Under Glass either. Especially the whole Jane Eyre part. But I am curious about the sequel too. Oh gosh, if you love Sorcery and Cecelia then you absolutely must get your hands on a copy of Kat, Incorrigible! She’s like a younger version of them. Yes! I can’t wait for Dark Mirror! Sidne, I hope you enjoy it! 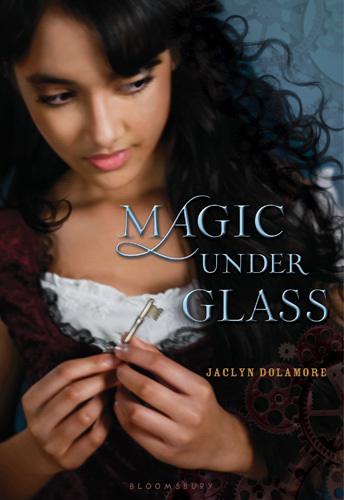 Magic Under Glass actually had this big controversy over the cover and it’s had a number of different covers as a result. I think the one I posted is the best and most suited to the book. Lazy Girl, Hope you enjoy them! Nic, Aaah I love Brightly Woven! I enjoyed The Vespertine. 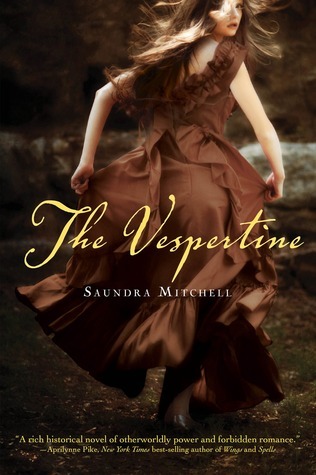 Leanna, If you haven’t read it already, Logan E. Turner wrote an excellent review for The Vespertine. 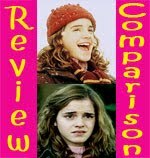 I liked but didn’t love the book, but her review really makes me want to read it again! @SmallReview - No, I didn't see it, but I'm going to check it out now. Thanks! I don't really like books which are set back a long time ago, unless like Once a Witch they go back and forth or are written right! 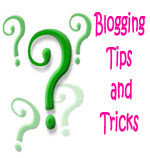 Just wanted to say, l seen your comment on Karen's blog (The Slowest Book Worm. You can get 'Angel' on netgalley. Called Angel Burn. So worth the read! I loved Sorcery and Cecilia! I read the sequels also. The Grand Tour was rather fabulous. The third book, The Mislaid Magician, I was less fond of, because it included letters and notes from 4 characters (the girls, and their husbands) and it became quite confusing as to who was who, since the men, in particular, didn't seem to have a unique voice. 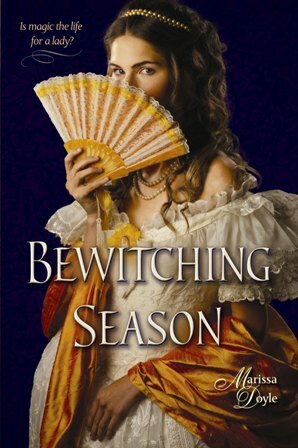 I used to read a lot more historical fiction when I was in high school, and I remember loving Bewitching Season when I read it. It appealed to the fantasy lover in me, too =) Good choice! Melissa, I’m a big fan of historical fic, but I just love it when there’s magic included as well. I’m glad you enjoyed the list! Madigan, Thanks for the info on the sequels! I can see how four narrators can get really confusing, especially if their voices aren’t as unique. I really need to get around to picking up The Grand Tour. Aliyah, Thanks! Have you read the sequel? I haven’t yet. I hope she writes another book with the brother as the main character. Laura, I don’t read as much HF as I’d like to either! I keep thinking I’ve read so much, but then I can’t remember any titles. I hope you enjoy the other books on the list! Cool list! 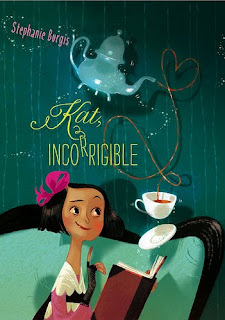 I tried reading Kat Incorrigible but I think the file is corrupted (I got it from the Galley Grab). I'm going to try it again, because I liked the first chapter. 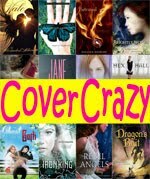 Other examples are Libba Bray and Michelle Zink's books. I once read a Christopher Pike book that mixed the Salem Witch Trials with actual witches. Aylee, :P Magic makes everything better.